A fast heartbeat, which is also called tachycardia, is a fast resting heart rate. A fast heartbeat often measures more than 100 beats per minute. The condition can be dangerous, depending on its underlying cause and on how hard the heart has to pump blood to the rest of the body. In some cases, individuals with a fast heartbeat do not experience any side effects or complications. Take note that having a fast heartbeat greatly increases your risk of stroke, sudden cardiac arrest, and death. Atrial or Supraventricular tachycardia (SVT) – An SVT refers to a fast heart which begins in the upper chambers of the heart. Some forms of SVT are known as paroxysmal atrial tachycardia (PAT) or paroxysmal supraventricular tachycardia (PSVT). 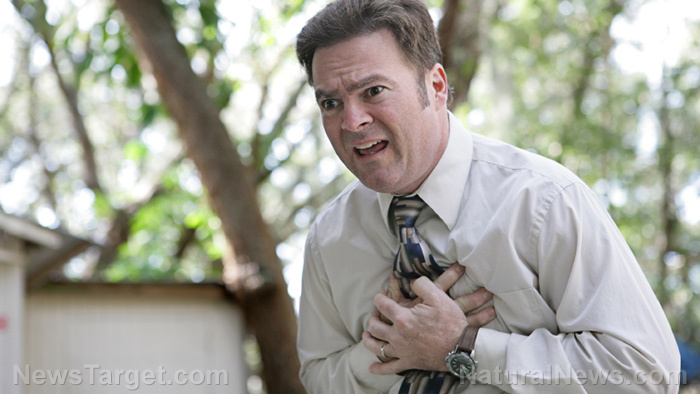 Sinus tachycardia – A sinus tachycardia refers to a heartbeat that is fast but steady. When an individual has this condition, their heart will beat faster than normal. Ventricular tachycardia – Ventricular tachycardia refers to a fast heartbeat that begins in the heart’s ventricles (lower chambers). The condition may be fatal and requires immediate diagnosis and treatment. Some patients with a fast heartbeat won’t experience any side effects. In these cases, tachycardia is often diagnosed once the individual has a physical examination. Age – Individuals older than 60 have a higher risk of having a fast heartbeat. Genetics – Individuals with close relatives who have a fast heartbeat or other heart rhythm disorders are at higher risk of developing the condition themselves. Blood clots – Blood clots can greatly increase a patient’s risk of heart attack or stroke. Fainting spells – An individual with a fast heartbeat may lose consciousness. Heart failure – If the condition is not managed, the heart may get weaker. If the heart weakens, it can result in heart failure, which occurs when the heart is unable to pump blood throughout the body efficiently or properly. The left side, right side, or even both sides of the body may be affected in the event of a heart failure. Sudden death – This complication is often associated with ventricular tachycardia or ventricular fibrillation. Blackstrap molasses – Full of calcium, iron, magnesium, and potassium, blackstrap molasses can help prevent these deficiencies in the body that may cause a fast heartbeat. It can also help treat anemia, one of the main causes of heart palpitations. Cold water – Staying hydrated can help prevent a fast heartbeat, which often occurs when the body experiences a decrease in fluid intake. Drinking cold water can help restore your normal heartbeat. Additionally, it can minimize anxiety, dizziness, and stress. Magnesium – A magnesium deficiency in the body may result in heart palpitations. Magnesium ensures that the heart and nervous system functions properly. It also helps the blood circulate in the body properly. Sources include avocados; cold-water fish; dark green vegetables like kale, spinach, and Swiss chard; low-fat yogurt; nuts like almonds and cashews; and seeds like sesame seeds and pumpkin seeds. Valerian – Valerian can help prevent a fast heartbeat caused by anxiety or panic attacks. It has a relaxing effect that can calm you down and help restore your normal heartbeat. Treatment for a fast heartbeat may vary, depending on its cause, the age, and general health of the individual, and other factors. The aim of treatment is to address the cause of the fast heartbeat. When clinically applicable, a healthcare professional may try to slow the rate, prevent subsequent episodes of a fast heartbeat, and minimize the risk of complications. Some patients with a fast heartbeat may need treatment that addresses the cause of the condition. For other cases where there is no underlying cause, different therapies may be tested. Cardioversion – Paddles/patches are used to deliver an electric shock to the heart, which affects the electrical impulses in the heart and helps restore normal rhythm. This method must be done in a hospital. Medication – Antiarrhythmic drugs may be administered orally or by injection in a hospital and they help restore a normal heartbeat. Medication can help control the heart rate, restore normal heart rhythm, or both. A person with a fast heartbeat may need to take more than one antiarrhythmic drug. Vagal maneuvers – The vagal nerve helps regulate the heartbeat. Maneuvers that affect this nerve include coughing, heaving (similar to when you are having a bowel movement), and placing something cold, like an ice pack, on the individual’s face. The IUD Mirena causes Tachycardia. Tachycardia can lead to death. Did I get your attention? Some of the possible side effects of a fast heartbeat include chest pain, confusion, dizziness, fainting, and a fast pulse. Some patients with a fast heartbeat won’t experience any side effects. A fast heartbeat may cause complications like blood clots, fainting spells, and heart failure. Treatment for a fast heartbeat may vary, depending on its cause, the age, and general health of the individual, and other factors. Treatment may include cardioversion, medication and vagal maneuvers.